Corporations, similar to private individuals, also build credit histories based on how they deal with their creditors. Specialised companies (referred to as credit reporting bureaus) keep track of the credit histories of corporates and use them to assign corporate credit ratings–just like is for individuals. Since most transactions undertaken by businesses are a matter of public record, establishing a complete financial behaviour picture for a business is much easier than for an individual,where a significant number of transactions are private and of a personal nature. As such, corporate credit ratings are generally more accurate. Corporate credit ratings are presented to users in terms of scores or corporate credit scores. 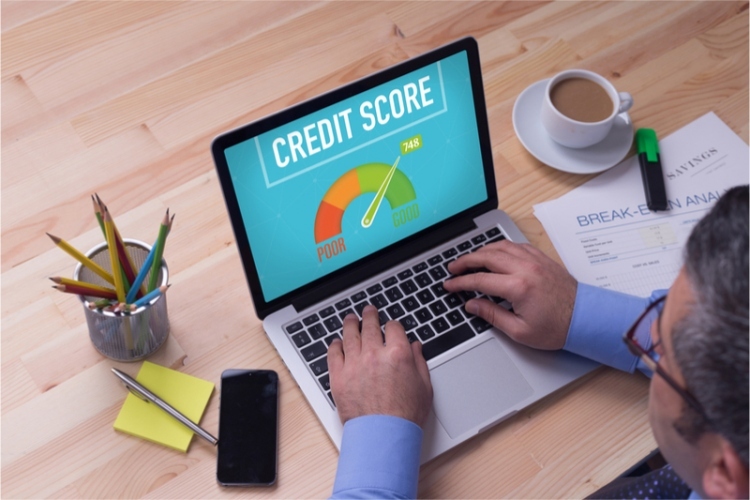 The credit score assigned to a company represents how good or bad a borrower they are and by extension, the amount of risk associated with lending to them. In other words, the corporate credit score of a business represents its creditworthiness. You can get the corporate credit score of a particular company by performing a corporate credit check via a credit reporting bureau. Each country will have its own local bureaus,so you’ll need to do some research to find your country’s bureaus. In New Zealand, businesses and individuals can perform corporate credit checks through businesses such as CreditWorks. These credit reporting companies rely on data voluntarily submitted by creditors such as suppliers, banks, financial institutions and credit card issuers to create a business’ financial profile. In addition to this, credit reporting companies also collect other information from public records such as court and property records. All this information is aggregated, and businesses are assigned their respective credit scores. Performing a corporate credit check is quite an easy and straight forward undertaking. All you need to do is contact a credit reference bureau and request for a credit report for the company you’re checking, or simply do it yourself directly from the credit bureau’s website.Usually,those who contribute to the credit reporting bureau’s database can access credit reports for free while those who are not contributors might have to pay a fee. What are Corporate Credit Scores used for? Loan and financing approvals. Banks and other financial institutions look at the corporate credit score when determining whether to lend money to a business. Obviously, they wouldn’t want to lend money to a business that has a poor debt management track record and conducting a corporate credit check helps them determine, to a significant degree of accuracy, whether they’ll get their money back. Determining credit and lending terms. In the world of credit, those who do well at maintaining a positive credit rating are rewarded while those who let their credit ratings slide are penalised. The corporate credit score, is, for this reason, used to determine the terms at which a business will be extended credit. Businesses with high credit scores will get favourable terms when taking out loans or making purchases on credit while those with a poor score will get comparably unfavourable terms. These terms include interest rates, payment durations, and the need for collateral or security. Relationship building. The corporate credit rating of a business is also used in the selection of long-term business partners. By checking the credit score of a potential partner, you can determine whether the partnership will be long lasting and whether it has the potential to affect your financial situation. You generally wouldn’t want to unknowingly get into long-term partnerships with companies that are about to go under as this would affect your business’ performance as well. Company valuation. Although less often referred to as such, corporate credit is an asset. This asset transfers with the business when the business is sold to a new owner. As a result, corporate credit is also used (to some extent) to determine the value of a business. A buyer will generally pay more for a company with a good credit rating than they would a company with a poor one. It’s evident that corporate credit scores play a very important role in the business world. It is therefore essential that companies grow and protect their credit scores with the same tenacity they assign other assets; because it’s just as important.